Application developers and researchers get immediate, free access to a D-Wave 2000Q™quantum computer, comprehensive software tools, demos, live code, documentation, and community forums. BURNABY, BC – (October 4, 2018) — D-Wave Systems Inc., the leader in quantum computing systems and software, today announced the immediate availability of free, real-time access to the D-Wave Leap™ Quantum Application Environment (QAE). 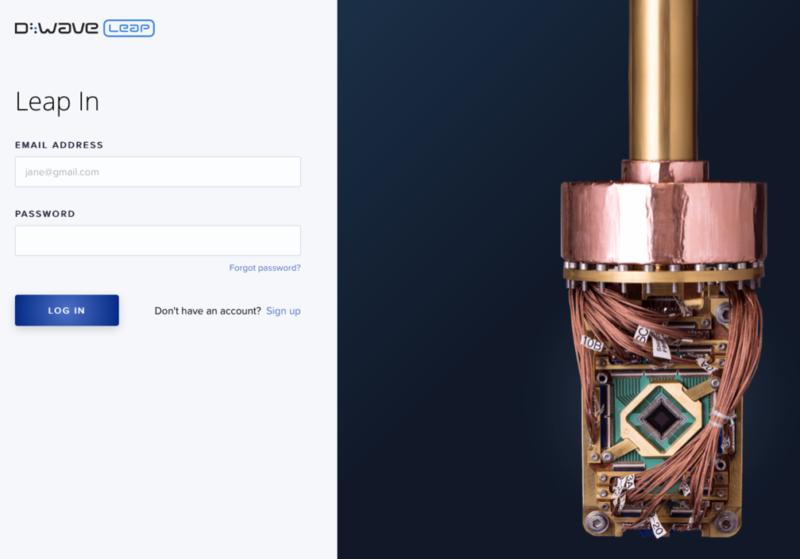 Leap is the first cloud-based QAE providing real-time access to a live quantum computer. In addition to access, Leap provides open-source development tools, interactive demos and coding examples, educational resources, and knowledge base articles.Designed for developers, researchers, and forward-thinking enterprises, Leap enables collaboration through its online community, helping Leap users write and run quantum applications to accelerate the development of real-world applications. Leap builds on D-Wave’s continuing work to drive real-world quantum application development. To-date, D-Wave customers have developed 100 early applications for problems spanning airline scheduling, election modeling, quantum chemistry simulation, automotive design, preventative healthcare, logistics, and more. Many have also developed software tools that make it easier to develop new applications. These existing applications and tools, along with access to a growing community, give developers a wealth of examples to learn from and build upon. Leap offers both free and paid plans designed for individual developers, commercial enterprises, and for government, research, and education sectors. To find out more and get started using Leap, visit the D-Wave website at www.dwavesys.com.